CreditCardAnswers was formed to offer a unique reference point on extensive advice on using credit cards. Nearly two thirds of all adults in the UK hold a credit card or multiple credit cards. But apart from using them to buy now and pay later how much do you really know about your plastic friend? Credit Card Answers was created to cut through the financial jargon associated with credit cards and give clear and concise credit card information. This site provides all the information you need, whether you want to know the real deal on payment protection or how to get rid of your credit card debt. Credit Card answers gives invaluable information that will save you money when using your cards; information that the lenders won't want you to know. This site will give you vital information if you want to know how to reclaim your credit card charges, understand what the small print actually means or simply how to avoid those nasty charges and fees. This is a one stop, free to use site that provides easy to understand information that will actually be of relevance to credit card holders. 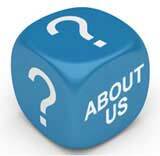 Our experts will also answer any questions or problems relating to your credit cards. Credit Card Answers should be your first point of call whether you are considering your first credit card, having trouble with your lenders or simply looking for a better credit card deal. CreditCardAnswers was founded by John Rowlinson, the founder of PtS. John, through PtS, is involved in a number of ventures including software and property companies. A percentage of revenue from these activities goes towards funding CreditCardAnswers and a number of similar sites.